The drug in question, Cerezyme, is used to treat a rare inherited enzyme deficiency called Gaucher disease. Some experts say that for most patients, as little as one-fourth the standard top dose would work, saving the health care system more than $200,000 a year per Gaucher patient. “It is economic malpractice to give a much higher dose of an expensive drug than is required,” said Dr. Ernest Beutler, an authority on Gaucher disease at the Scripps Research Institute. Some other Gaucher specialists argue otherwise, saying that skimping on the medicine could endanger patients. With Cerezyme, which is made by Genzyme, the profits are sizable. Gaucher disease, which can have complications like ruined joints, is rare; only about 1,500 people in the United States are on the drug and about 5,000 worldwide. Sales of Cerezyme totaled $1.1 billion last year, making it a blockbuster by industry standards. 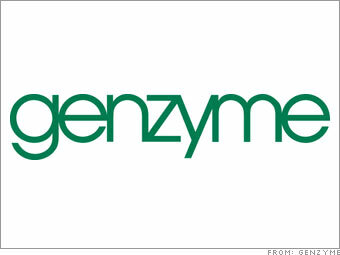 Genzyme, which became a leading biotechnology company because of Cerezyme, says that it has raised the price only once — 3 percent last year — since introducing the drug in 1994. The company says it needs the high price to make a sustainable business of serving such a small number of patients and to pay for research on new products. Genzyme also says it provides the drug free, if necessary, so that no one goes without the product because of its cost. But critics say the company’s development costs were minimal, because the early work on the treatment was done by the National Institutes of Health, which gave Genzyme a contract to manufacture it. And analysts estimate the current cost of manufacturing the drug to be only about 10 percent of its price. Insurers generally cover the drug because there are so few patients. But finding or staying on insurance can be difficult. Ms. Mangum began treatment in 2000, at a cost of more than $400,000 a year. The next year, the premiums for everyone in her insurance pool went up by $180 a month. I am not sure what can be done about this under the current system, but if one thinks about the true purpose of insurance, I think it becomes clear that a national healthcare system is necessary to protect and cover the costs for individuals who have these rare but treatable diseases.